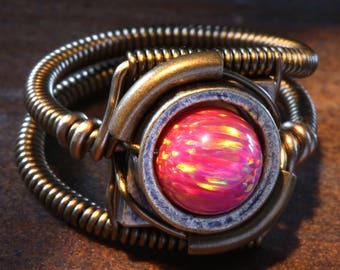 Announcement We make handmade Steampunk Jewelry, Steampunk Rings, Bracelets, Watches, necklaces, Tie tack, Pins, Earrings and Steam punk Sculptures. 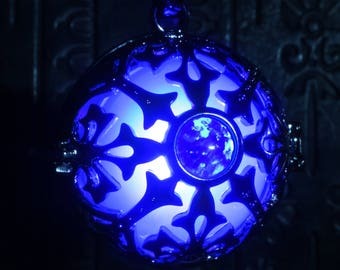 We specialize in affordable and unique steampunk jewellery, all created with love and a commitment to responsible design and manufacturing. We focus mainly on handcrafted rings for ladies and gentleman - and some steampunk sculptures for the avid collector. "Made to order" doesn't mean "made to wait around!" This is our full-time gig and we ship Monday-Friday. We strive to ship all orders within 48 hours. This is how we are able to offer a wide variety of product and size options for you. If your order is time sensitive, please contact us, we will be happy to help you. 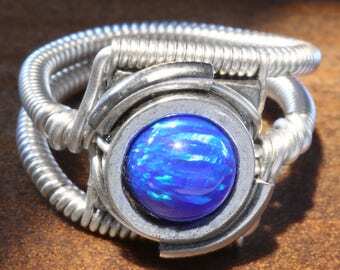 If you would like to reserve an item, need a ring in a different size, a custom order or Steampunk Jewellery from my sold items. Just send me a message, i will be happy to make something special just for you. Thanks for taking the time to visit our shop ! 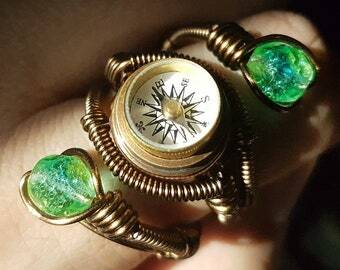 We make handmade Steampunk Jewelry, Steampunk Rings, Bracelets, Watches, necklaces, Tie tack, Pins, Earrings and Steam punk Sculptures. Envoi rapide, suivi de qualité, je recommande vivement et pense renouveler des achats! Merci beaucoup pour le Bonus!!!! Last weekend,Catherine and I celebrated our 10th anniversary!!! So i have made a sculpture inspired by this special occasion. 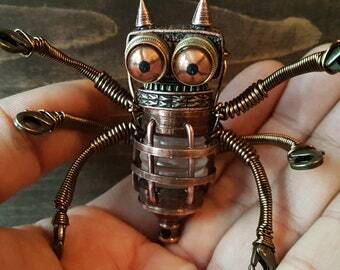 Little Steampunk Minion Robot King Sculpture holding a Rose. 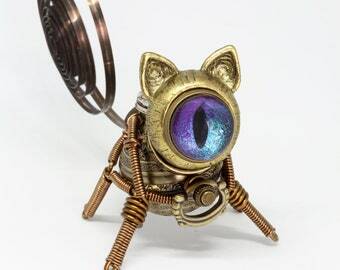 My newest Steampunk cat sculpture. Available in my etsy shop. I can make them with different color of eyes and customize them. For custom order send me a note , we' LOVE to make something unique just for you! 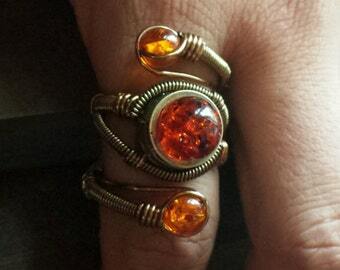 Welcome to the world of Catherinette Rings ! Daniel Proulx was born in Montreal and spent a considerable time traveling the world before returning to his artistic roots, becoming an independent artist in 2008. 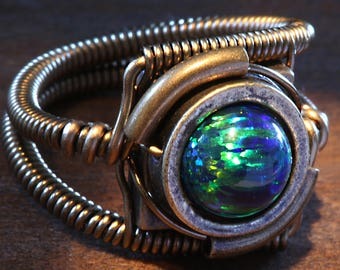 He has found great inspiration in the steam era and now makes Steampunk jewelry with metal wire, gemstones, vintage clock parts and other unusual components. 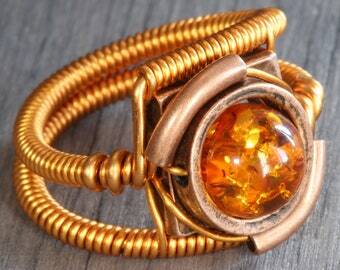 He loves creating organic shapes from wire and developing intricate designs with a mechanical/industrial feel. When Daniel was little he used to daydream about fantastic imaginary worlds. He would draw monsters, invent stories about magical items, or role-play with friends. 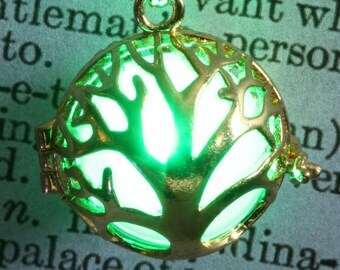 Now he brings his art to life with stories from a distant parallel Steampunk universe. 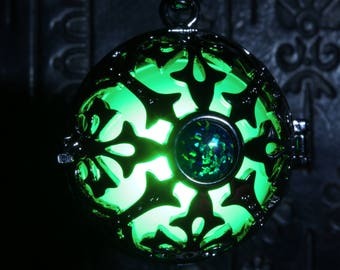 He uses his creations to share his passion for the world of Steampunk with the rest of us . Daniel Proulx spent a considerable time traveling the world before returning to his artistic roots. 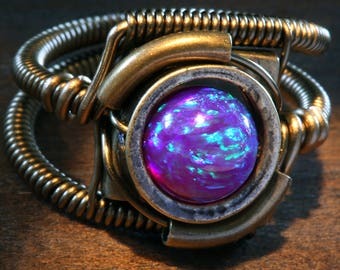 He has found great inspiration in the steam era & now makes Steampunk jewelry. 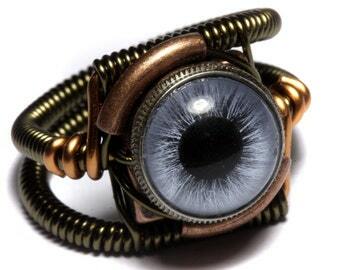 He uses his creations to share his passion for the world of Steampunk. 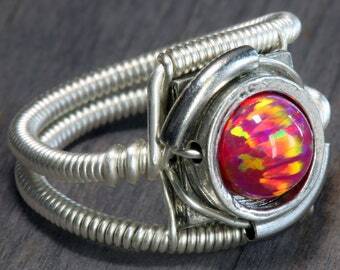 Catherine started to make jewelry in 2008 . She is a full time professional fashion graphic designer and work part time helping Daniel run CatherinetteRings .